What hook-in system is best for you? 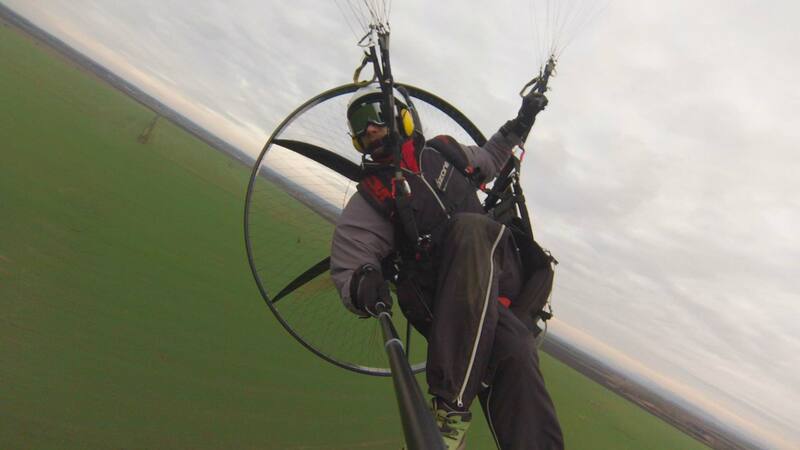 Hook-in system is in my opinion the most important choice you make when buying a paramotor. The hook-in system gives you the feel of the glider and makes handling better or bad. You may replace the motor later if you like but its hook-in point is defined by the frame and harness. So make a proper decision now. – faster and tighter: A turn initiated with weight-shift and brake is two times faster than only with brake. – safer: For the same turn dynamics half the brake amount is sufficient if weight-shift is added. Pulling less brake means lower risk of stalling the glider. Accidents happen mostly when pilots need to turn immediately after launch into the opposite direction of torque. Torque at full power is very strong and acts like weight-shift into undesired direction. The glider is slow and in such case pulling a lot of brake may cause a spin or stall at low altitude. Leaning your body would help a lot. – more efficient: As you are pulling less brake and the profile gets less distorted. Brake increases drag and the glide is worse. – dives less: This means that the turn is more flat and you lose less altitude. Pulling hard on brake causes not only bank but also yaw, that means the glider points down and flies towards gorund. Weigh-shift only makes the glider bank and the turn is nice and clean. Unfortunately, many paramotors on the market do not allow any weightshift -yes, I am referring to the high hook-in paramotors, where you have the carabiners placed somewhere around your ears an you have no place to lean to. I have written a complete guide to hook-in systems here>. Yes, its long but worth to read. I have tried hard to convince you that weight-shift ability is good. Some may argue that for beginner the high hook-in system is the easiest to learn but this is just bull-sh*t (#salespitch). There is absolutely no reason for that. Conclusion? If you don’t know, go for the goose-neck bars. You won’t go wrong.